iPad Mini 2 with Retina Display is Apple's latest micro tablet device introduced last week and it also contains several new hardware and software changes i.e. 7.9-inch Retina display screen, having A7 chip with 64-bit architecture with the M7 motion coprocessor plus 10 hours of battery life and its truly a thin and light weighted design model and it also runs Apple's newest iOS 7 firmware with Over 475,000 apps on the App Store. So if you're curious to know more detailed Specs and Features of iPad Mini 2 with Retina Display device than let's have a look at below Infographic to know more inside info. 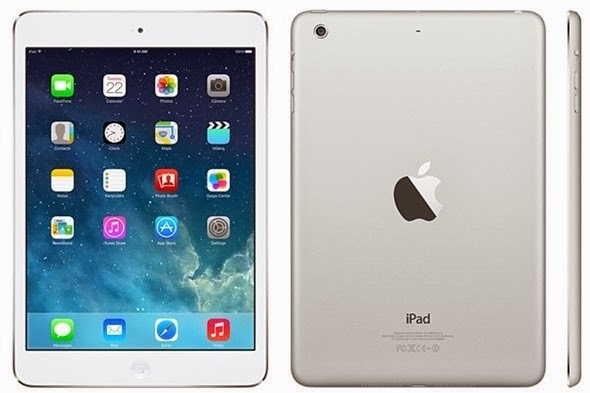 Apple iPad Mini 2 with Retina Display model is available in two different models i.e. Wi-Fi + Cellular and Wi-Fi and having two elegant different colors i.e. Space Gray and Silver. The iPad Mini 2 has storage capacity of 16GB, 32GB, 64GB and 128GB. 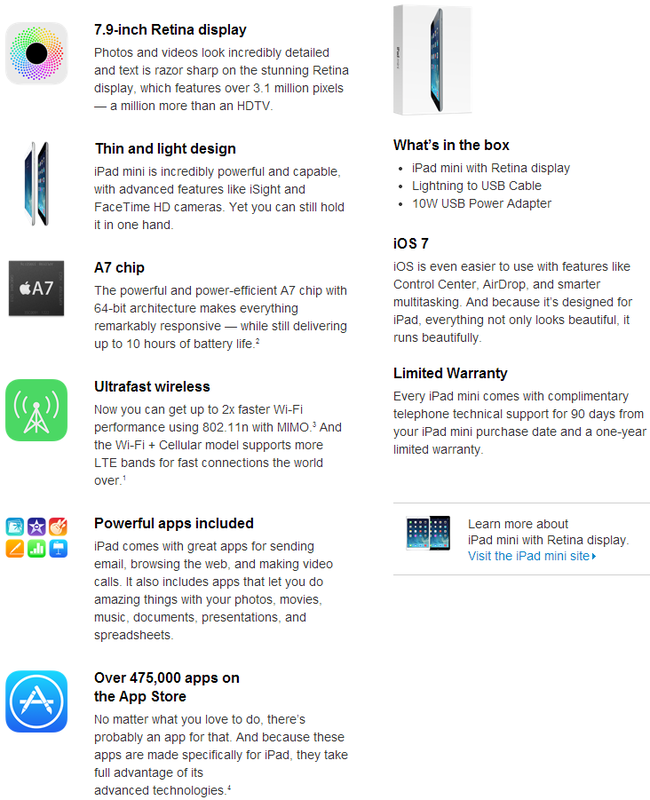 Find out and know more specs and features of iPad Mini 2 with Retina Display below. Apple iPad Mini 2 with Retina Display will be available later in November, 2013 via Apple Store website. The official price of Apple iPad Mini 2 will be $399 for 16GB, $499 for 32GB, $599 for 64GB and $699 for 128GB for iPad Mini 2 Wi-Fi model and for iPad Mini 2 Wi-Fi + Cellular model (AT&T, Sprint, T-Mobile, Verizon) will cost $529 for 16GB, $629 for 32GB, $729 for 64GB and $829 for 128GB.